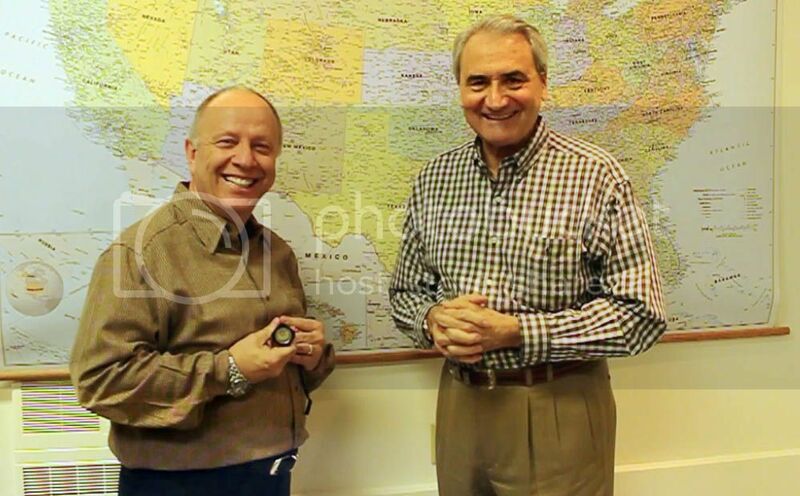 The legendary John Bianchi, CEO of Frontier Gunleather and founder of Bianchi International, and FoxFury Lighting Solutions announce an alliance to redefine the look and feel of the flashlight experience for all users. The goal is to create the lighting tools of tomorrow using the latest technology along with old-school quality and craftsmanship. Come meet John Bianchi and Mario Cugini, CEO of FoxFury, at SHOT Show booth #26206 to learn about the new projects they'll be embarking upon. John Bianchi has been a police officer, a military general, competitive shooter, author and THE authority on holsters. In addition, John also helped pioneer the tactical light market in 1975 with his robust Bianchi B-lite, which served as the predecessor to the modern police flashlight. Bianchi's D-cell powered B-lite and Super B-lite have influenced many of the police flashlights from the 1980s to modern day. John's influence to this day can be seen in the design of many holsters and the promotion of competitive shooting though the Bianchi Cup. "I am excited to be working with FoxFury on the introduction of some great new products," said Bianchi. Mario Cugini founded FoxFury Lighting Solutions in 2003 to revolutionize the lighting experience by offering a hands-free LED surfing light for recreational use. When Cugini learned of the unfilled niche lighting needs of first responders, he redirected the company's focus towards professional markets. FoxFury designs and manufacturers LED lighting solutions (including headlamps, area lights and flashlights) primarily for fire, law enforcement, military and industrial applications worldwide. FoxFury formed partnerships early on with top LED manufacturers including CREE and OSRAM. FoxFury was the first company to exclusively use LEDs in all lights in order to target the niche needs in professional markets. "FoxFury is thrilled to be able to work together with John Bianchi. John and I are eager to give shape to our vision of a new type of flashlight that will feel like a natural extension of a person's hand," said Cugini. John and Mario will be available at FoxFury's booth during SHOT #26206 to mingle with press, buyers and flashlight enthusiasts about their new relationship and the elements of the future product designs. SHOT Show will be held from January 17 to 20 at the Sands Expo in Las Vegas. IRWINDALE, Calif., Nov. 29, 2011 /PRNewswire via COMTEX/ -- Though we live in a country where American citizens are entitled to unalienable civil privileges such as the right to life, liberty, and the pursuit of happiness, but we can't have it all. The laws and policies we live by are strictly regulated by the government. Recently, certain agencies have overstepped boundaries and abused power in the facade of protecting the country. MF Research and Publications has researched the matter of recent import seizures by the CBP and DOC and reveals abuse and negligence. The government has been making it difficult for small businesses in the airsoft sporting goods industry to operate. Airsoft is a recreational sport in which plastic pellets (airsoft BBs) are shot out of realistic, non-lethal shooting replicas of actual firearms. Presently, the Department of Customs and Border Protection (CBP) has been seizing shipments of airsoft guns from businesses such as AirSplat, Tac City and many others for the reason that they are incompliant with our country's policies. According to the policy, imported airsoft guns must have a blaze orange tip affixed to the barrel of the gun to clarify it is not a real firearm. Though all shipments have been compliant with the policy, the CBP would find ways to disprove it. They have claimed that the tips of the airsoft guns were painted on, though all orange tips are made with solid orange plastic. They also claimed that the tips were not permanently affixed to the airsoft guns. Their examination was by way of using power tools, which resulted in merchandise being broken into pieces. An estimated $250 million in pending seizures has been pilfered from small businesses this year. It can take as long as 18 to 36 months to sort out the issue due to delayed responses from the CBP. It costs an estimated $150,000 in fees to retrieve a shipment of merchandise worth only $100,000. $50,000 is lost. No one is held accountable for the lost funds nor have any repercussions been established. As of November 2011, we've gotten word that the CBP is further preparing to seize more airsoft shipments in the near future. We can see palpable evidence demonstrating ways the government has abused their power to bully unwary targets. While the CBP plays the role of defender, small businesses in the airsoft industry - and all import businesses - are suffering.